When I went back to Tennessee for the weekend to see a concert I spent the day in the city of Nashville. Within 12 hours I saw three bachelorette parties, a bachelor party, a wedding, and a proposal. It was no surprise because living in the South I found the men were friendly, kind, and had manners that I had never been seen before. There are some exceptions but County music has the most beautiful love songs ever written. When a Sophisticate falls in the love in the South, it's like nothing else. The relationship is soft, warm, hot, and relaxed. The only "cold" aspect of a relationship in the South is the drinks that are sipped during a picnic or at a restaurant. In the South, the warm embraces between a couple in love are as warm as the days and nights. Like the iced tea, lemonade, or beer the kisses are sweet and strong. A Southern gentleman is the perfect compliment for a Sophisticate (A Sophisticate is a Southern Belle). In the South, the men are more casual preferring jeans. There is no need to dress up because there something beautiful in the casual style of their dress. The dress does not reflect the formal loving nature he displays through the politeness and manners inspired by the love he has for the Sophisticate of his dreams. Flowers and opening doors are part of their charm. A Southern has the perfect sweet shyness that shows strength instead of weakness. That sweet shyness adds an element that allows love to grow and blossom between a Sophisticate and her man. In other cities or areas, the dress is formal and their manners are more casual. In Los Angeles, Dallas, or New York City, dating is about high heels, the little black dress, martini's, fast cars, and expensive dinners. Casual is for the bourgeoisie. Unless you live in certain areas some couples enjoy hiking or skiing. In the North, the North dating is done mainly at night. Due to the weather, the activities are mainly done indoors, dinner at restaurants, dancing at clubs, drinking at trendy bars, going to the movies, or a night at home watching a movie. In the North there are carnivals in the South there are fairs. 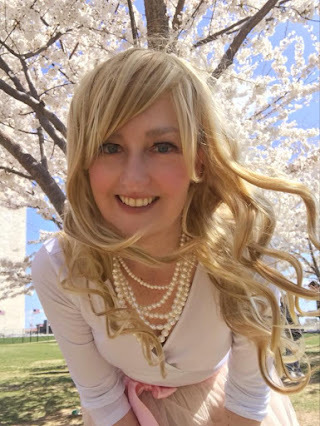 Because of the warm weather there is the ability to wear short shorts, skirts, and summer dresses that have a good amount of white, off white, pink, yellow, and blue. Outdoor activities are the main source it is full of outdoor activities. Horseback riding or long hikes. There is driving in a pick-up truck, the beach if you live in the Carolinas, or the lake if you live anywhere else. There is fishing, outdoor concerts, and picnics.